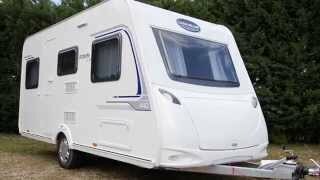 An exclusive caravan with all the features of bigger models! In just 4.20 meters, this caravan with a unique layout combines a spacious U-shaped living room that can welcome up to five guests and a large bathroom. In addition, the 35 cm space at the foot of the bed allows easier access. It’s also possible to have a maxi XL-Freeze refrigerator.